The Orlando Eye celebrates a major construction milestone with the completion of the spoke installation of the inner wheel, clearing the way for work to begin on the outer wheel, eventually bringing the massive structure to a height and width of 400 feet, making it the tallest observation wheel on the East Coast of the United States. As it stands, the Eye can be seen from miles around, and many believe the structure is nearly complete. However, the outer wheel still needs to be constructed, then workers can begin the installation process of the glass capsules, and finally, work can begin on the electrical and A/V components of the Eye. The Orlando Eye is scheduled to open in spring 2015. 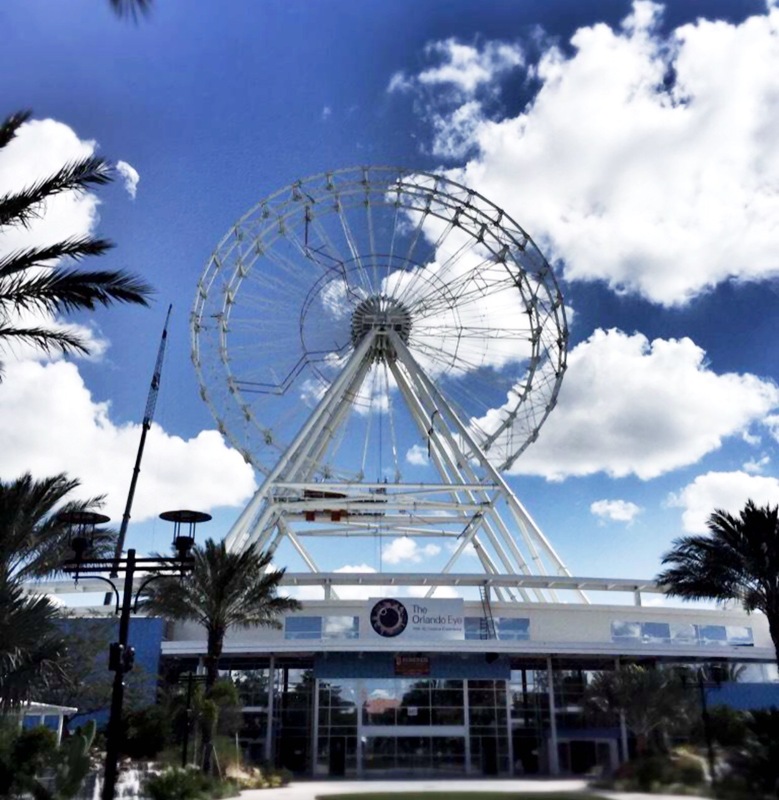 The Orlando Eye journey is access to the pre-flight 4D cinema experience, taking guests on a full 3D aerial journey of Florida, with the added dimension of sensory experiences, including lighting, wind, spray and scent effects.